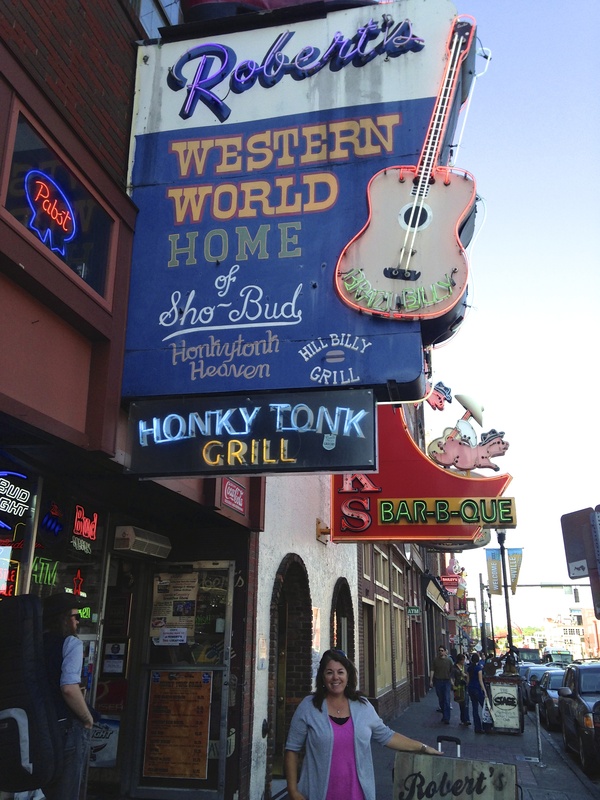 I was definitely more excited about this stop than Mike, partly due to my obsession with the TV show Nashville. And, I enjoy Country Music while he doesn’t really care for it. The drive west from Knoxville was an easy one and we got set up at our park, Nashville Shores, just about 10 miles east of downtown. This was a great place located right on a lake, including a full-blown water park which thankfully for us wasn’t open yet for the season. It was a beautiful evening, so we did our typical first night ritual; poured cocktails and walked the park. We got rolling the next morning at a decent time and headed out to take care of a few errands. 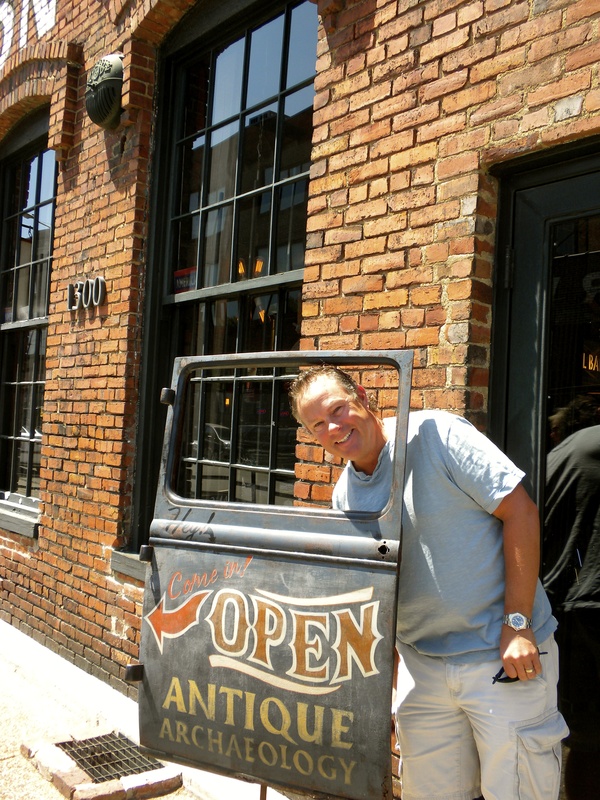 Then, first stop was one of Mike’s ideas, Antique Archaeology, a store owned by Mike Wolfe from the show American Pickers. Not really of interest to me, but so glad we did stop. It is located in the Marathon Village, a hip industrial area, which also houses some recording studio space. Walking to the car, I spotted the singers from Lady Antebellum also walking to their car. I snapped a quick photo and contemplated following them, but decided against being a stalker. I love this kind of stuff and thought if it was this easy, I will no doubt see many other stars over the next few days (didn’t happen). After lunch at the Noshville Deli in the West End, we drove down Music Row, which consists of houses that are businesses related to the music industry. 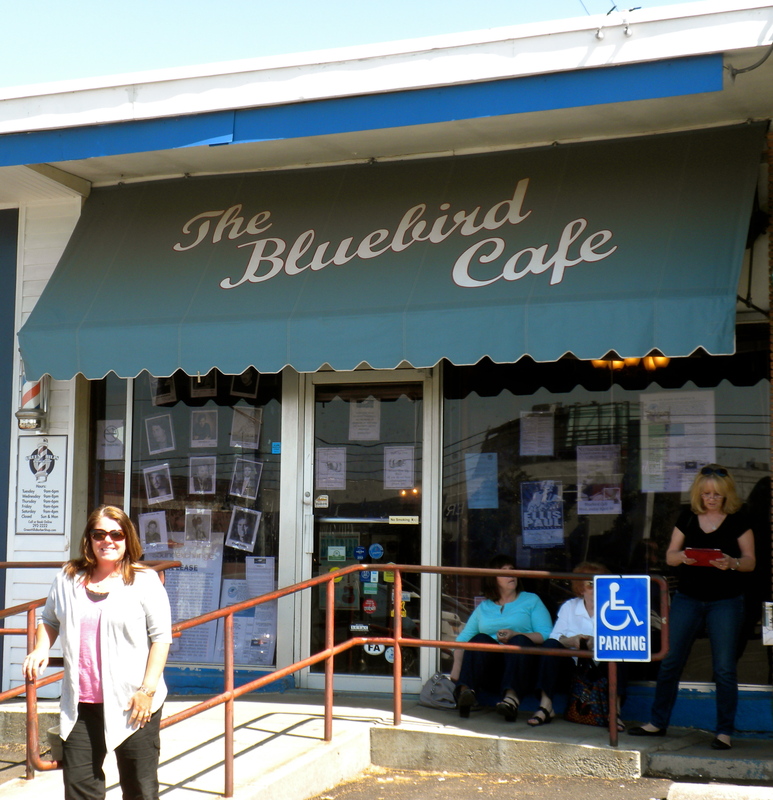 We also drove to the Bluebird Café, which is very prominent in the TV show and also is a place to go watch live music, but tickets were all sold out for the time we were here. Snapped a quick photo and I was surprised that it was actually in a strip mall. Headed into downtown for the rest of the afternoon and evening. 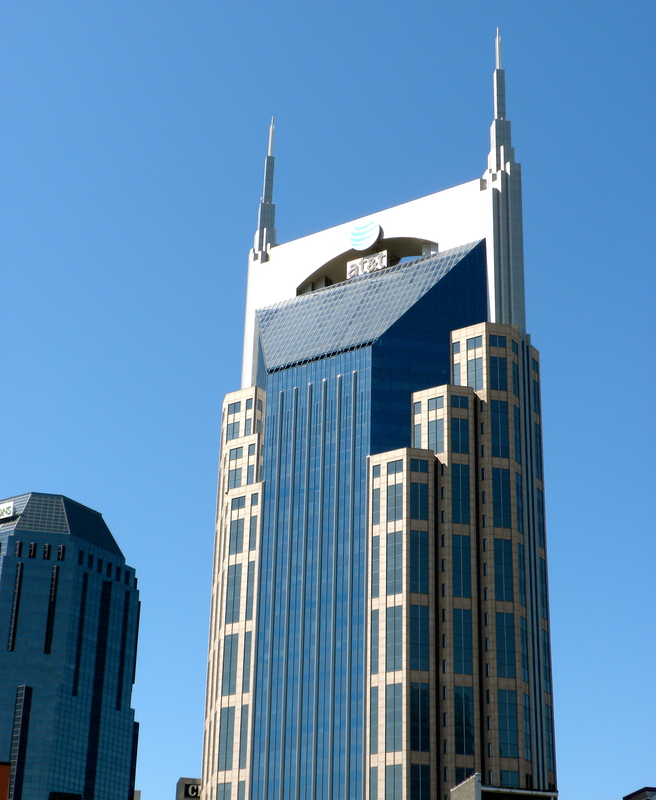 The Nashville skyline has a very modern feel to it, most notable is the AT&T Tower with its 2 tall spires that makes for a cool presence that can be seen from most anywhere in the city. Across the river is the LP Stadium where the Titans play and the Bridgestone Arena (hockey) is in the heart of downtown. We walked down Broadway and the people and the sound of live music spilled out onto the sidewalks. We decided to stop in at Robert’s for a bit, then headed to the Listening Room. Basically there is live music in every bar all day long and you can just make your way around and pop in and out. Typically there isn’t a cover charge unless it is a special evening show, so the musicians all play for tips. Fun atmosphere! Yesterday, we just got our feet wet, but today was going to be a full day! It was a beautiful sunny morning, perfect. First we headed out to the Grand Ole Opry and Opryland Hotel. These are located about 10 minutes NE of downtown. 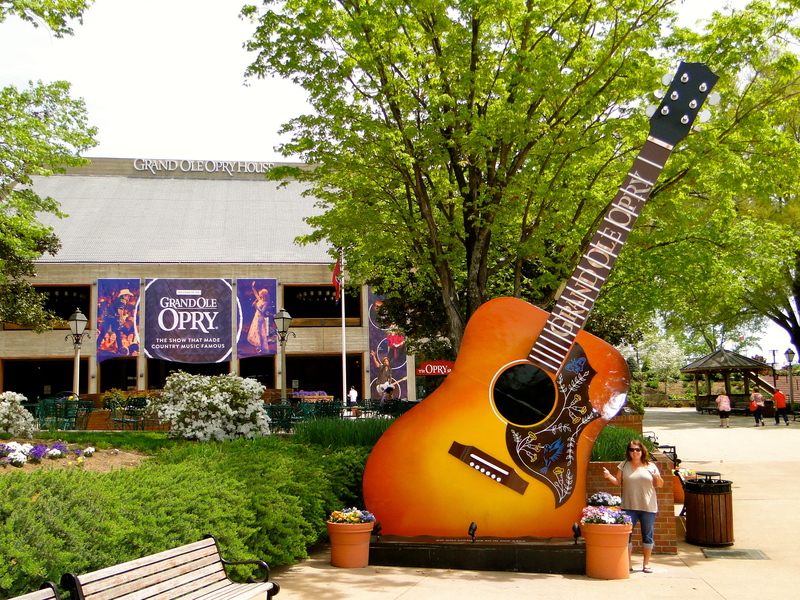 Until 1974, the Grand Ole Opry took place in the Ryman Auditorium downtown, but then it was decided that a larger venue was needed, so this current location was built. We decided to do a tour, which was only $20 and lasted about an hour. We got to see the area where the performers enter (nothing fancy, since many of them live in Nashville or have homes here, they just drive their own cars and walk on in to the security area). 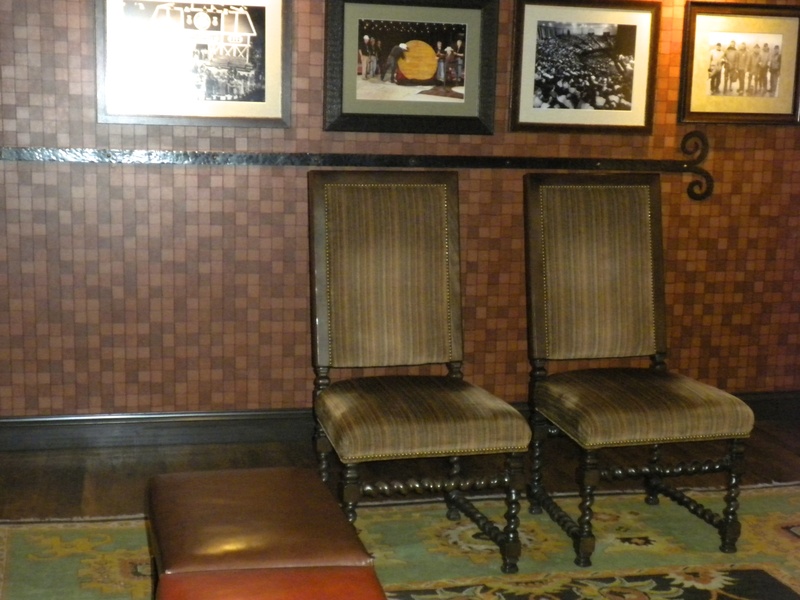 We saw the wall where all the inductee plaques are, the dressing rooms, green room, the stage, then out to the audience seating. It is much smaller than I thought and really any seat in the house would be good. The seats are all wooden pews. 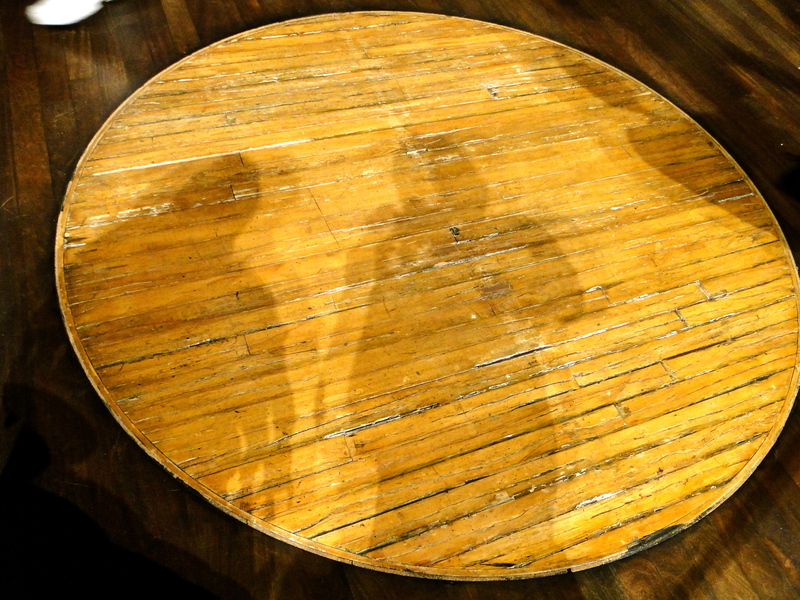 On the stage there is a round wooden circle embedded in the floor that was taken from the Ryman. 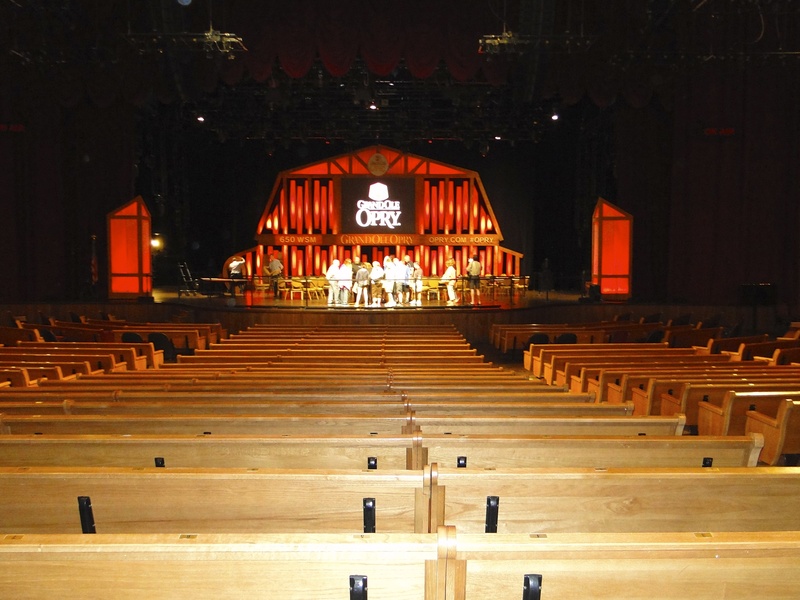 It holds a lot of historical significance as all performers at the Opry have stood on that very circle. A devastating flood in May of 2010 did significant damage to this location as well as the wooden circle, but they were able to save the circle, renovate and reopen successfully. 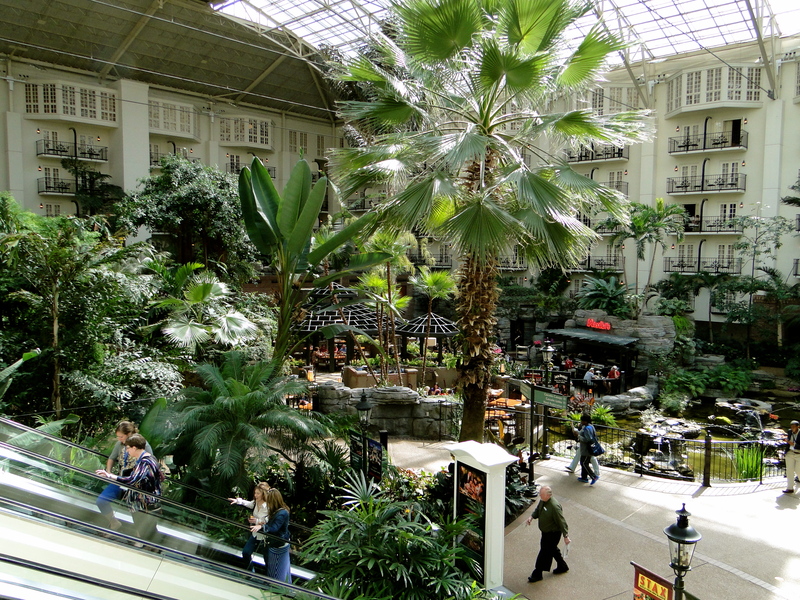 After the tour, we walked over to the Gaylord Opryland Hotel, which is adjacent to the Opry. This place is HUGE! 2,800 rooms and the largest non-casino hotel in the country. We walked through the different areas, admiring all of the landscaping and lush greenery. It is just one humungous atrium flooded with light with numerous restaurants, shops and even a live radio show broadcasting. Pretty impressive and a great place to stay if you were attending a show at the Grand Ole Opry, also a very large convention center associated with the hotel. It was now time to head downtown and listen to some music before our 7pm show at the Ryman Auditorium, known as the Mother Church of Country Music. 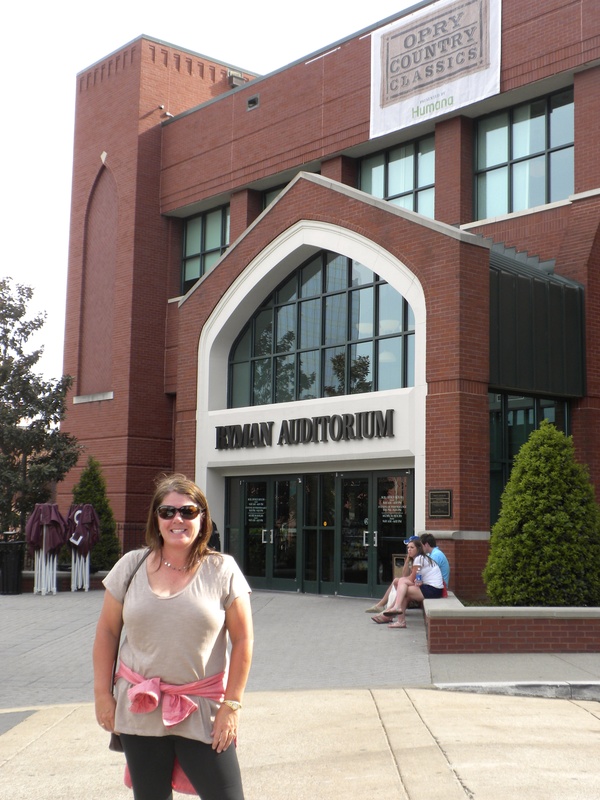 (There were tour and show options at both the Opry and Ryman, so we decided to just tour one and see a show at the other). 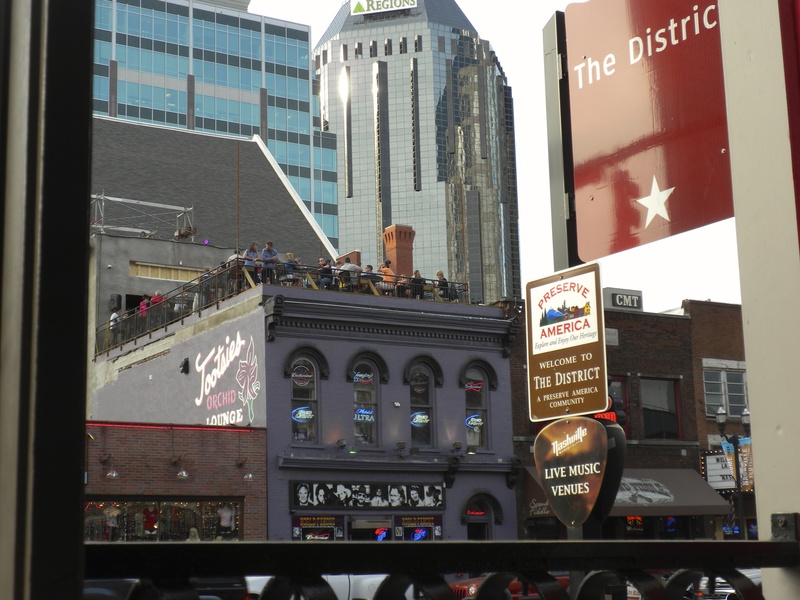 We headed back to Broadway Street and hit Tootsies, Legends & Rippy’s then a quick bite before the show. We tried for the highly recommend Jack’s BBQ, but there was a line out the door and we just didn’t have time. We made it inside and up to the balcony where our seats were located. This is a smaller venue than the Opry, so all seats felt pretty close to the stage. 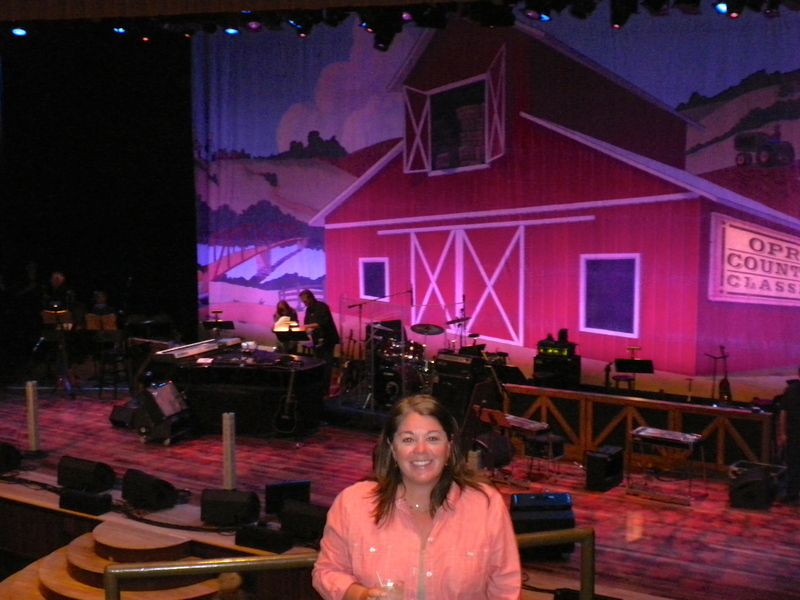 The show we were seeing was called Opry Country Classics, which is a live radio show (longest running live broadcast since 1925) featuring various performers, some Opry members and some new younger artists. 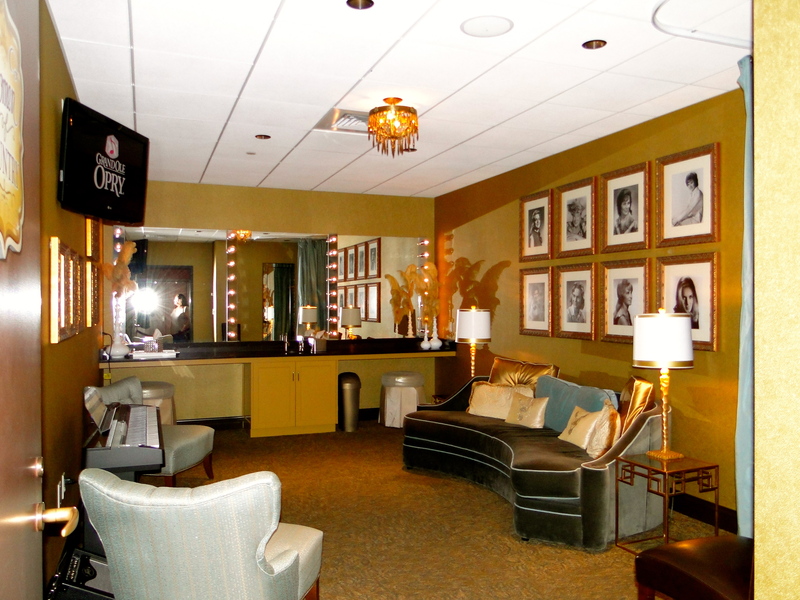 (There are also intimate concerts here, Rob Thomas and Santana had played the past few days but both were sold out). Turns out this show was a tribute to the late George Jones and his wife was in attendance. We weren’t quite sure what to expect, but it was kind of a variety show hosted by Larry Gatlin (of the Gatlin Brothers). 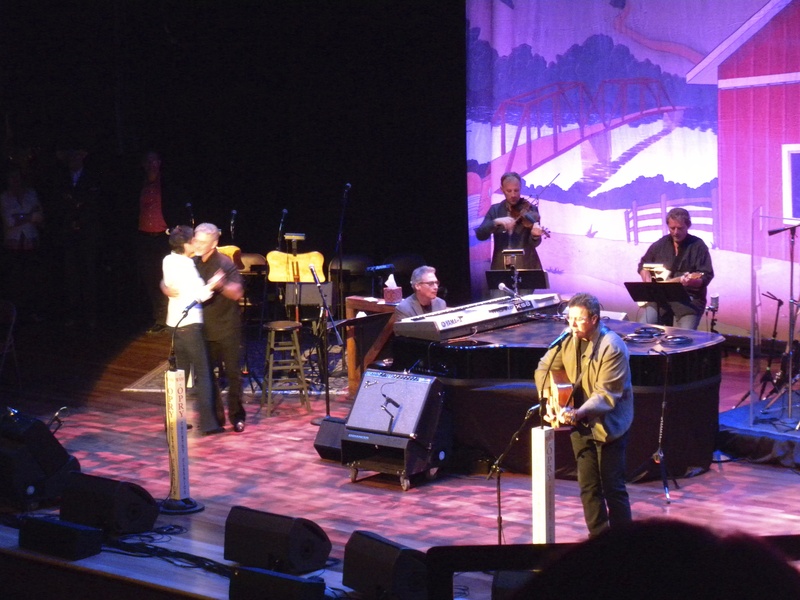 Four or five artists sang a few songs each, then Vince Gill ended the show, which was the reason I wanted to come. He was fantastic and glad we got to see the venue, but looking ahead at the schedule there are some great performers coming up over the next few weeks that would have been great to see (Charlie Daniels Band, Little Big Town, Loretta Lynn, Martina McBride & Carrie Underwood to name a few). The cool thing about the Opry is you just never know who will be playing and sometimes they make surprise appearances if they are in town. Would love to see more shows here! Side Note: Nashville (the TV show) just aired a special featuring the actors of the show singing which was filmed at the Ryman Auditorium, so it was pretty cool to see a show there in person. We headed back to the MoHo after a full day. A terrible storm rolled in that night that we were not expecting. I can’t believe weather boy did not have this on his radar. Rain, thunder & lightning that literally shook the MoHo and neither one of us got much sleep. The sun was back shining in the morning; the weather in the south is so unlike what we are used to. 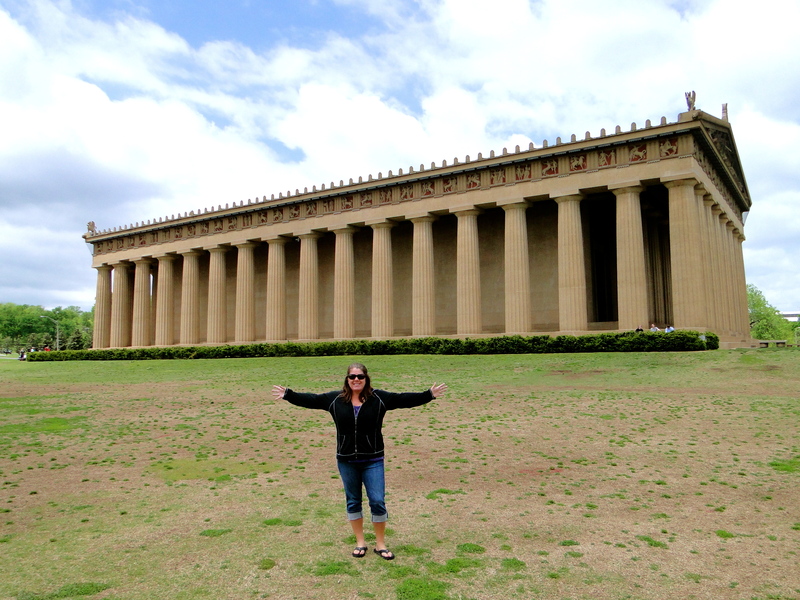 We were a bit lazy, then headed out to Centennial Park and the Parthenon, which is a full-size replica of the one in Greece. Then it was off to find the Grilled Cheeserie, a food truck featured in Diners, Drive-Ins and Dives. What could be better than a grilled cheese & cup of tomato soup out of a food truck!? 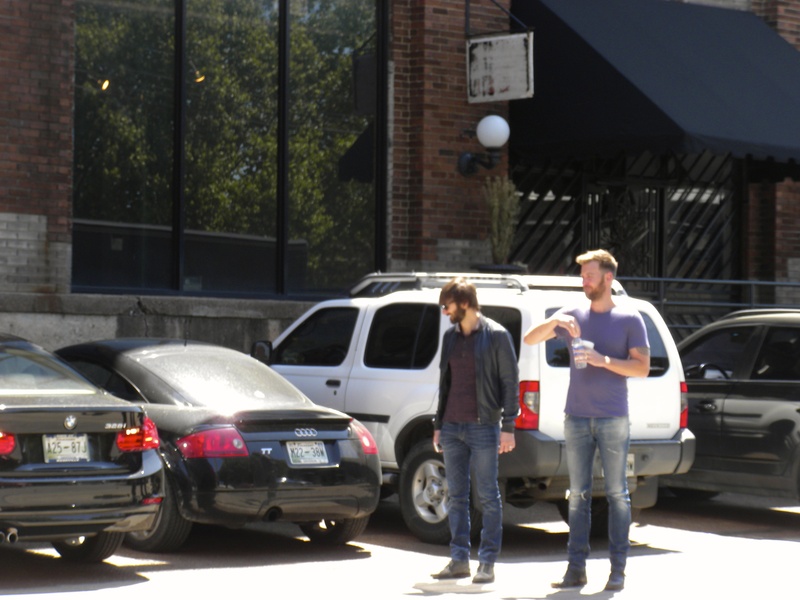 Lastly, we drove over to the Gulch which is an Urban area just SW of town that is kind of trendy. We parked and found Hops & Crafts and sat outside enjoying the sunshine over a cold beer. We didn’t actually go into downtown this day as they were gearing up for the Rock n Roll Marathon to be held Saturday so it was a bit chaotic. Back to the MoHo for some laundry and relaxation while Mike fished on the lake. 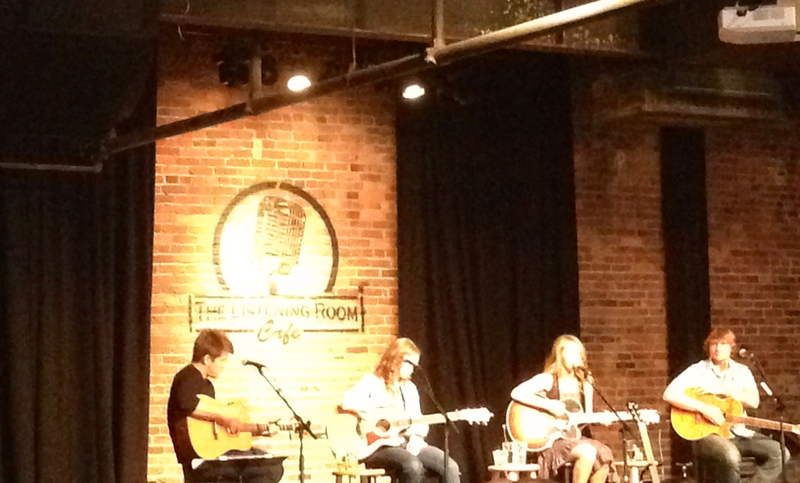 I really LOVED Nashville and would love to come back again when we could attend some good music shows. It may be a better girls trip as I’m not sure Mike enjoyed the scene as much as I did. Off to St. Louis in the morning. 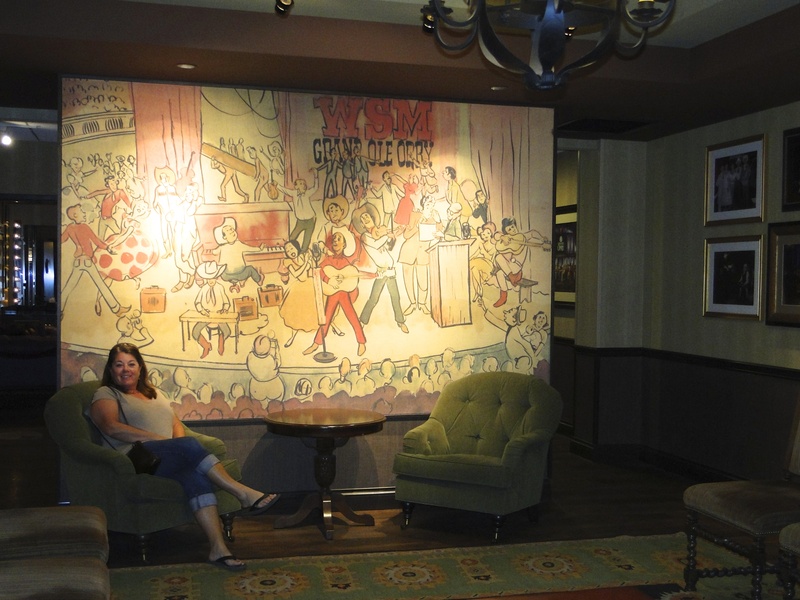 This entry was posted in April 2014 and tagged Country Music, live music, Nashville, Opry, Ryman, Tennessee, The Gulch, Vince Gill on April 27, 2014 by Traci. We made the short drive, only about 3 hours, over the hills to Knoxville, TN. We checked into the Riverside RV Park in Sevierville, about 30 minutes east of town. 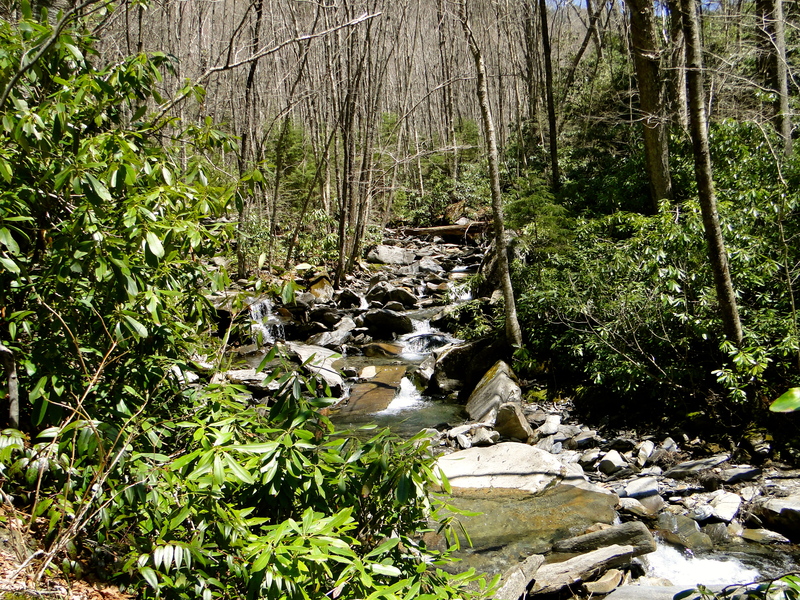 We chose this park for one big reason, only about a 30-40 minute drive to the Great Smoky Mountains National Park. 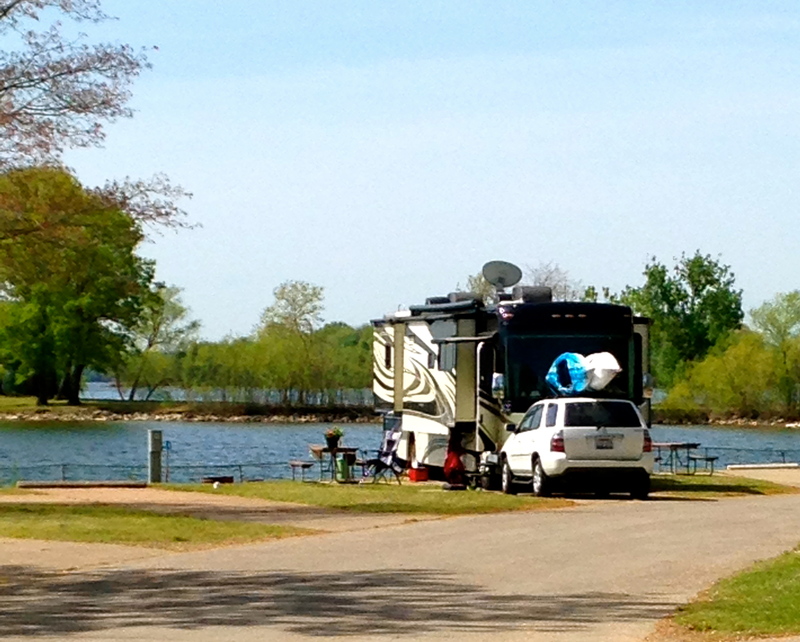 The RV park was nice and open, and not very crowded, still off-season for many areas. 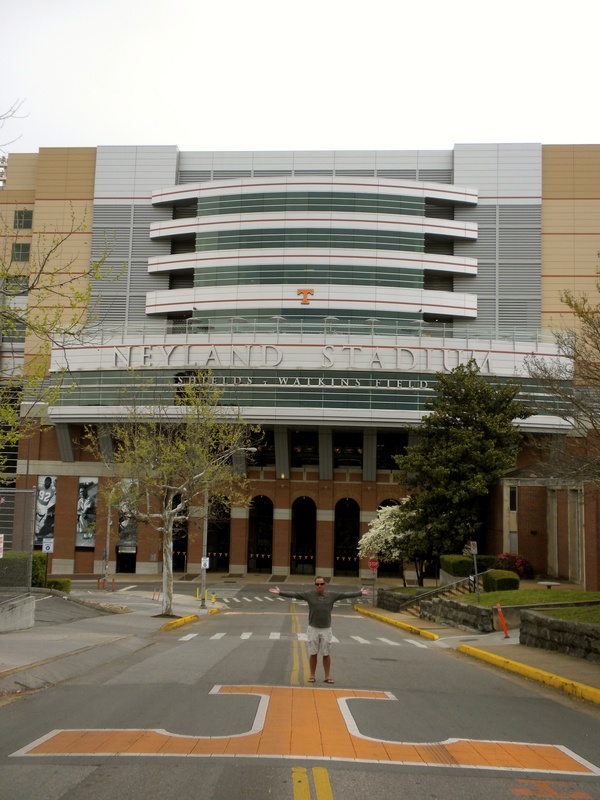 Our first venture was to downtown Knoxville and to the Univ. of Tennessee. I had read/seen/heard many times that their college football stadium rivaled the UW in beauty, as it was located on a river, much like Husky stadium is located on Lake Washington. As we drove up, I did not get that feeling at all. It is right next to the river, but it is totally enclosed, and there are no river views unless you are on the top row looking out, somewhat of a disappointment. We also stumbled upon a softball game in progress (shout out to Coach Pflu!). We wandered around town for a while, and found a couple of nice little tiny micro-neighborhoods that looked inviting, but for the most part we both thought that the town just felt old. Lots of really old looking brick buildings, not a lot of energy, just a little blah. Plus it was raining, so not a great day for walking around. 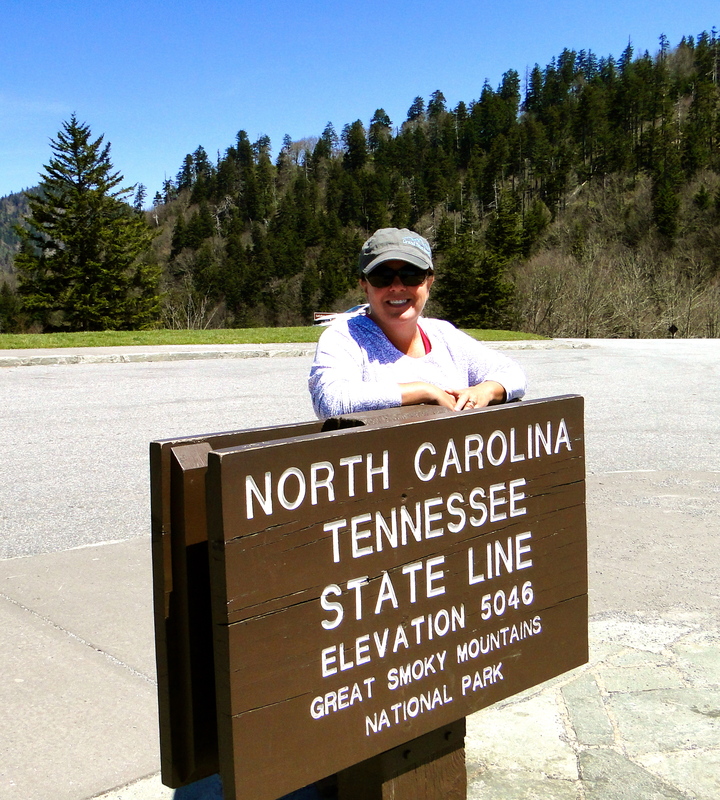 On Easter Sunday, we headed out to explore the Great Smoky Mountains National Park. We thought maybe it would be less crowded, but many others had the same idea. The weather had shifted and it was a gorgeous spring day. We stopped at the ranger station and got a good idea on a couple hikes. 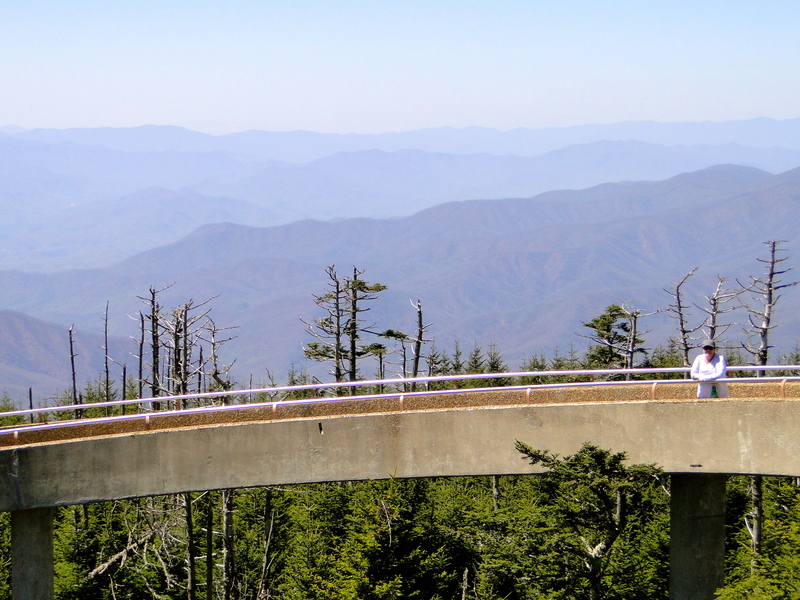 Our first stop was an observation tower at Clingman’s Dome, (highest point in the state of TN) a half-mile journey up to the deck. After a fairly steep ascent, we arrived to a 360-degree view of the Smoky’s. Again, a little underwhelming, especially since we have some massive peaks at home in the NW, and we have visited the Rockies in both the USA and Canada, but the Smoky’s are the oldest mountain range in the country and they have eroded a lot over the centuries. We were just on the cusp of spring opening up all the trees, and the views seemed a bit hazy that day, so it does not show well in pictures, but you can’t control mother nature. Actually, we learned that is why they are called the Smoky Mountains, because there always seems to be a haze or smoke surrounding them. 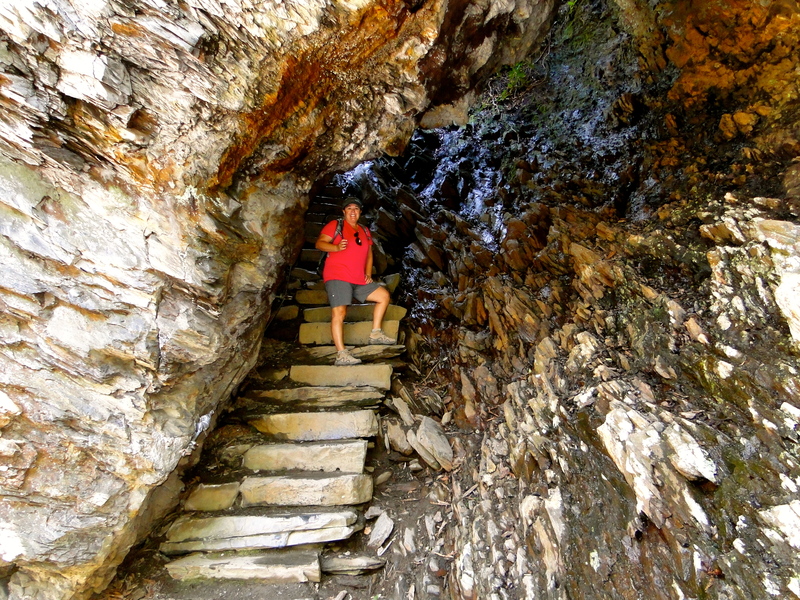 Our next stop was a 4-5 mile hike along the Alum Cave Trail. This was very cool, as we started out winding through 12-15 foot high Rhododendrons, unfortunately not yet blooming, for the first mile or so. Eventually we got above the low canopy of Rhodies, and into a bit of elevation with peak-a-boo views through the trees at many of the neighboring mountains (hills). We returned to the car, both a lot more tired than we thought we should be, but this was the first time we have been at any elevation in almost 6 months, and it hit us pretty hard. We headed home for a nice steak dinner and some Abracadabra wine from Brian Carter and slept well! The next day was one for shopping and projects. Traci has been on the hunt for a dress to wear to the Kentucky Derby, and she thinks she finally found one at the Outlet mall that was nearby. I spent much of the morning doing little projects, organizing, and the little maintenance stuff that is never ending. It is funny how we have accumulated so much more than we left with, and the challenge is now finding room to store things. At home, we would take a huge load to Goodwill, but here we are trying to make sure what we do buy is needed, and will be able to be stuffed somewhere into our home on wheels. We head to Nashville next, and then a quick jaunt over to St. Louis, before our trip to the Derby! 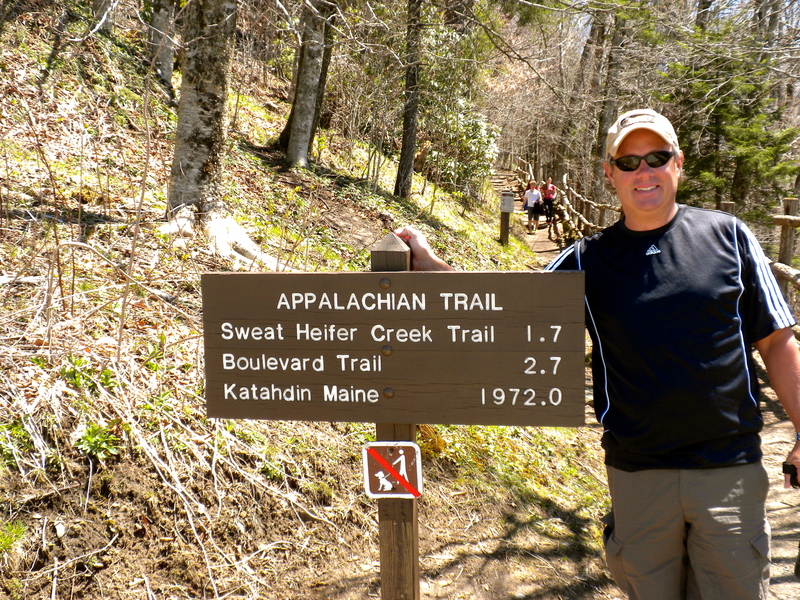 This entry was posted in April 2014 and tagged Appalachian Trail, Great Smoky Mountains, hiking, Knoxville, Tennessee on April 23, 2014 by Mike.